VA; April 12, 2017 — “The Vietnam War,” a new 10-part, 18-hour documentary film series directed by Ken Burns and Lynn Novick, will premiere September 17, 2017, on Connecticut Public Television (CPTV) and PBS stations nationwide. The first five episodes will air nightly from Sunday, September 17 through Thursday, September 21, and the final five episodes will air nightly from Sunday, September 24 through Thursday, September 28. Each episode will premiere at 8 p.m. with a repeat broadcast immediately following the premiere. Beginning Tuesday, October 3, the series will re-air on a weekly basis through November 28 at 9 p.m.
On September 17, concurrent with the broadcast premiere, the first five episodes of “The Vietnam War” will be available for streaming on all station-branded PBS platforms, including PBS.org and PBS apps for iOS, Android, Roku, Apple TV, Amazon Fire TV and Chromecast. They will also be available to view via CPTV.org. The final five episodes will be available beginning September 24. All episodes will remain accessible until October 3, when the series begins its weekly rebroadcast. During the rebroadcast period, each episode will be available to stream for two weeks. PBS station members with Passport, a benefit for donors offering extended access to a rich library of public television programming, can view the entire series (all 10 episodes) beginning September 17. The series will also be available in Spanish and Vietnamese on streaming. In an immersive narrative, Burns and Novick tell the epic story of the Vietnam War as it has never before been told on film. 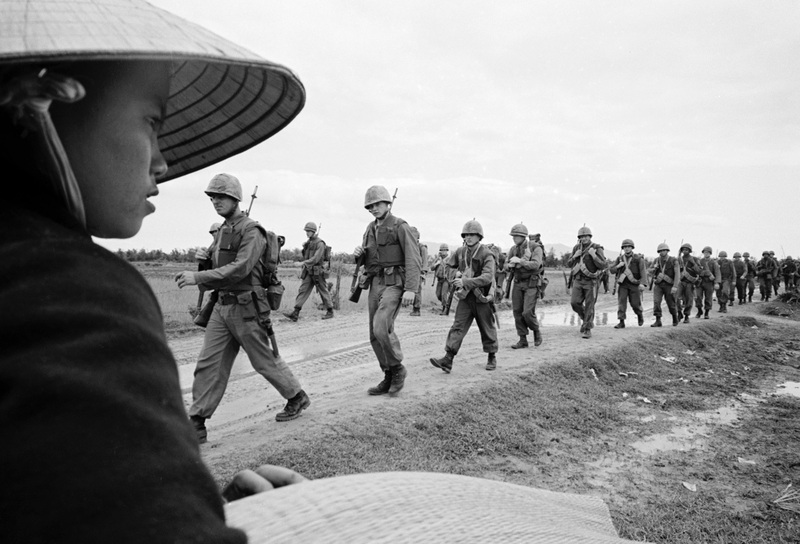 “The Vietnam War” features testimony from nearly 100 witnesses, including many Americans who fought in the war and others who opposed it, as well as Vietnamese combatants and civilians from both the winning and losing sides. Ten years in the making, the series brings the war and the chaotic epoch it encompassed viscerally to life. Written by Geoffrey C. Ward, produced by Sarah Botstein, Novick, and Burns, it includes rarely seen, digitally remastered archival footage from sources around the globe, photographs taken by some of the most celebrated photojournalists of the 20th century, historic television broadcasts, evocative home movies, and revelatory audio recordings from inside the Kennedy, Johnson, and Nixon administrations. The series also features more than 120 popular songs that define the era, including tracks from The Beatles, The Rolling Stones, Bob Dylan, Jimi Hendrix, Simon & Garfunkel, Janis Joplin, Ben E. King, Phil Ochs, Donovan, Johnny Cash, Barry McGuire, Buffalo Springfield, The Byrds, Otis Redding, Santana, Joni Mitchell, Nina Simone, The Temptations, Booker T. and the M.G.s, Pete Seeger, and more. “The Vietnam War” rounds out a trilogy of Florentine Films’ exploration of American wars that began with Burns’s landmark series, “The Civil War” (1990), followed by Burns and Novick’s acclaimed seven-part series about the World War II, “The War” (2007). “The Vietnam War” will be available on Blu-ray and DVD on September 19, 2017, from PBS Distribution at shopPBS.org. The DVD and Blu-ray extras include a 45-minute preview program, two special segments on the contemporary lives of two of the program’s participants, and deleted scenes. The series will also be available for digital download.